Samsung really treated us by launching not three but five new smartphones. 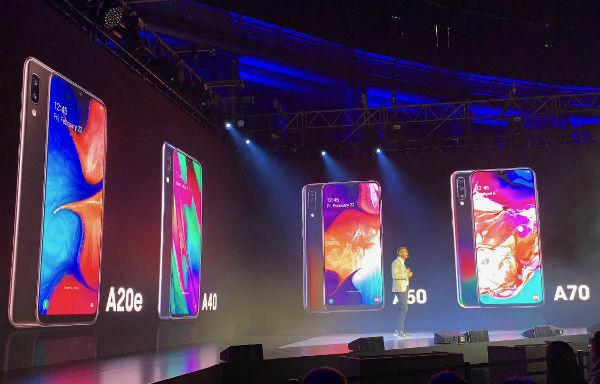 The most premium of its new releases are the Galaxy A70 and A80. The A80 really caught our attention with its pop-up camera design, allowing for a completely notch-free display. Imagine watching your latest Netflix obsession completely uninterrupted? This is the first time a Samsung smartphone has ever gone completely bezel-free. So as you can imagine, this is big. The A70’s display is pretty incredible too though. It features a tiny Infinity-U display (or water drop notch) giving you more of that dazzling screen. 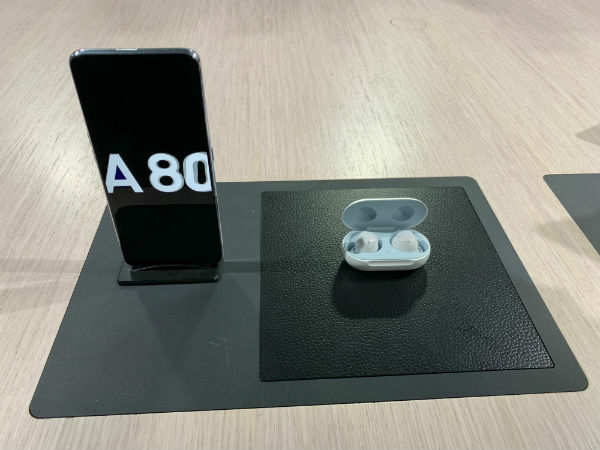 Both of these phones offer a huge 6.7-inch displays, with Samsung putting an emphasis on what the younger generation want – “Gifs, stories, memes and videos”, said Nicole Ng, Product Manager at Samsung. The A80 and A70 boast a lot of the same awesome tech. They’re both protected by an on-screen fingerprint scanner with defence-grade security (no one’s getting in that phone but you) – and a triple-lens camera that takes bright, sharp shots that are never anything short of top quality. We spent a lot of time taking photos on both the A80 and A70 and were truly impressed by how pin-sharp the shots they took were. The A80’s rotating camera boasts the same level of picture quality front and back. That means your selfies will be just as detailed and clear as your rear-facing camera. Aside from the camera and display, the only other difference between the A70 and A80 is the battery. Both of these phones offer big, powerful batteries but the A70’s is slightly bigger. However, fast charging is available on both the A70 and A80 so the chances of you ever having to be without your precious phone are much slimmer. 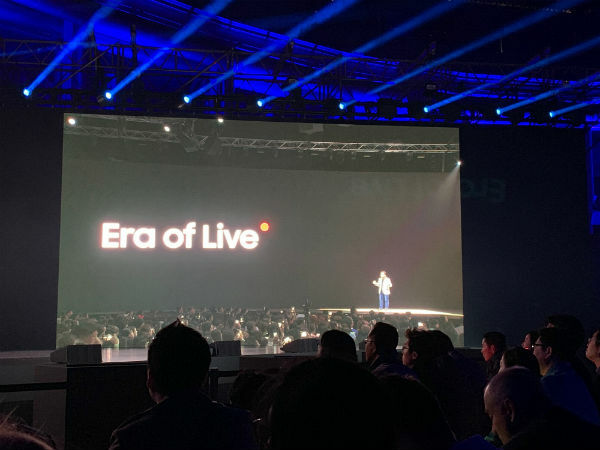 Samsung also presented the Galaxy A50, which offers a lot of what the A70 does – with an ultra-wide camera for easily capturing impressive landscape shots or big group shots. Plus, the lower-end A20e and A40 – both with dual cameras and teardrop notches. All of these phones are powered by Android 9 Pie, running Samsung’s all-mighty One UI. That’s the same interface you find on the Galaxy S10 and S10 Plus. The One UI platform puts productivity and focus to the forefront. The processor runs smoothly and gives you a much smarter interaction. For example, the One Handed Navigation tool makes it easy for the device to be used with one hand. Perfect for when you’re composing an ‘I’m running late’ text while sipping the latte that made you late in the first place. 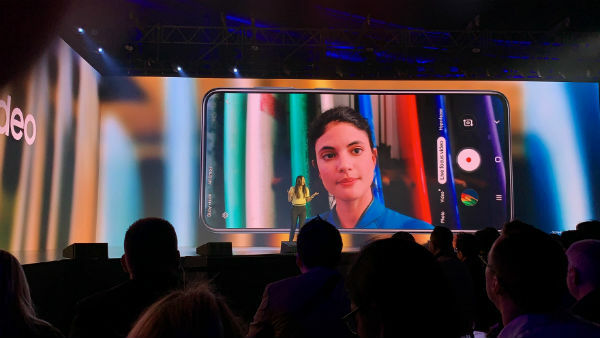 Overall, Samsung has really thought of everyone with its new range - from Generation Z influencers to new smartphone users on a budget. We can’t wait to hear what you think of these phones. Which one do you have your eye on? Time to start thinking because Carphone Warehouse will be stocking all of them very soon – so watch this space.